You can read more about our Limited Lifetime Warranty. On average orders are completed within 8 to 10 weeks once your designer and you approve the order. I’m interested in becoming a Plain & Fancy Dealer. Where can I get more information? If you’d like to become a Plain & Fancy Dealer, please head over to our contact page to request more information. Am I able to get a door or color sample? Please contact your local Plain & Fancy Dealer to order any samples. You can locate one via our Dealer Locator. I have a question regarding a recent order I placed with a Plain & Fancy Dealer. Who can I talk to? We ask that you take any questions or concerns with your order to your Plain & Fancy Dealer. If for some reason they are unavailable, please email us or call 717-949-6571. How can I clean my Plain & Fancy Cabinets? We’ve provided an easy to follow video with all the information you need on caring for your cabinets. 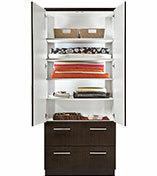 My cabinetry is beginning to show wear and tear, and my supplied touch-up kit is dry. How can I get a new touch-up kit? 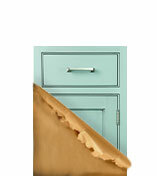 Please email us with your cabinetry’s job number or if possible, paint color. If your job was a custom color match, the best solution will be to take a door or drawer head to a Sherwin Williams or Benjamin Moore and have them color match it for you. A piece of hardware (hinge, drawer guide, etc) on my Plain & Fancy cabinets broke. How can I get it replaced? The easiest and quickest way to get a replacement is to fill out the hardware replacement form with a photo of the broken part along with your name, shipping address, telephone number. Don't see your question answered? Fill out this form and someone will get back to you as soon as possible!